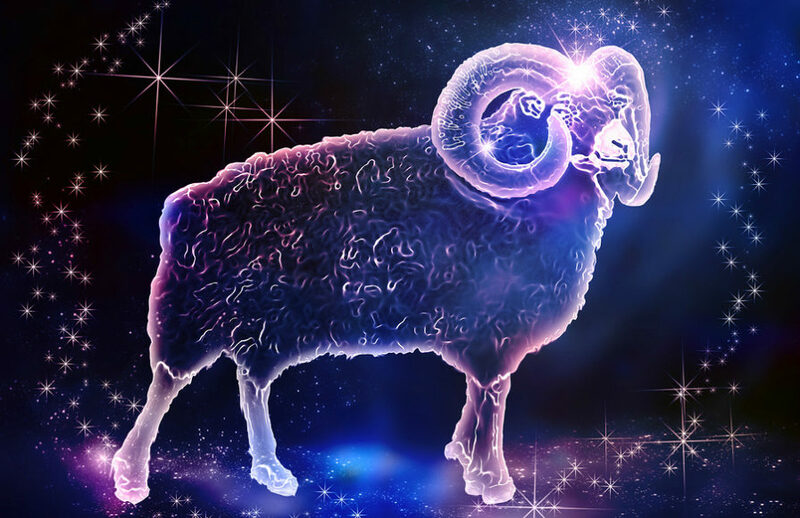 On Friday, April 5th, 2019, the New Moon in Aries is bringing a shift of energy that we all are waiting for. Aries may take you out of your comfort zone and into a territory of adventure. It’s a good idea to check in with your breath and your body, making sure you feel grounded since this month is about to expand your horizons and will push you to stretch into new interests or fields of creativity. I suggest you tune into the softness of the New Moon as her energy will cuddle you into moving with care and gentleness so that you don’t have to back up into a space of hiding. 1) It’s time to reinvent yourself! Aries is about newness and shifting gears and it’s time for you to get the courage to reinvent yourself. 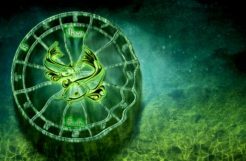 Being the first sign of the zodiac, Aries is going through some old blocks and into a new beginning, inspiring you to birth a new self – or maybe your original self – the part of you that was left out because it felt weird or it didn’t fit. This New Moon is giving you permission to be who you are TODAY, and not what you may have been or who you should be. This may feel like a small deal to you, but if you think about it, it’s so easy to get trapped in past achievements and thinking about what you don’t have any more (maybe because of your age or maybe because you got distracted with new things), and now you feel you don’t match your own successes. Or maybe it’s your thoughts about what you were supposed to become in your parent’s eyes, that gives you that uncomfortable feeling that you never “made it”. Unspoken words of expectation and judgment may create very thick walls of limitations and a weight that carries heavy in your heart. After a while, you don’t really understand why, but a sense of unhappiness grows exponentially inside of you until you feel suffocated by it. Take advantage of this wave of freedom and appreciate who you are TODAY! The current Cosmic energies are here to highlight the PRESENT. It’s time for you to fully engage in the possibilities of the moment and to be free to explore outside the box of your past or the paralyzing fear of the future. There is such a great breath of a new beginning with a push of creativity and it is going to make you see parts of you that were oblivious to you, or you were unable to value properly since your view was blinded by judgments. Put your energy into exploring and improving, transforming, and re-learn who you are TODAY. Invest in yourself NOW, love who you are NOW, and dedicate your time and attention to take your status to a level of excellence, NOW! Remember to take some time to relax and go deep into yourself. Enter the hidden inner space where your unlimited potential is waiting to be awakened and develop into manifesting your Best Self; that “Best Self” that serves you in a deep and meaningful way. It’s a good habit to prepare and navigate the energies and the emotions present on the day of the New Moon. Slow down and write a list of topics or energies you want to focus on; plant aware seeds of creation for the month ahead and observe how your path opens up to more vibrant opportunities. Tune into the vibration of Self-Acceptance; it will bring great relief to your Soul and will facilitate a deep soul transformative healing journey. Align your energy with the celestial power of the universe. 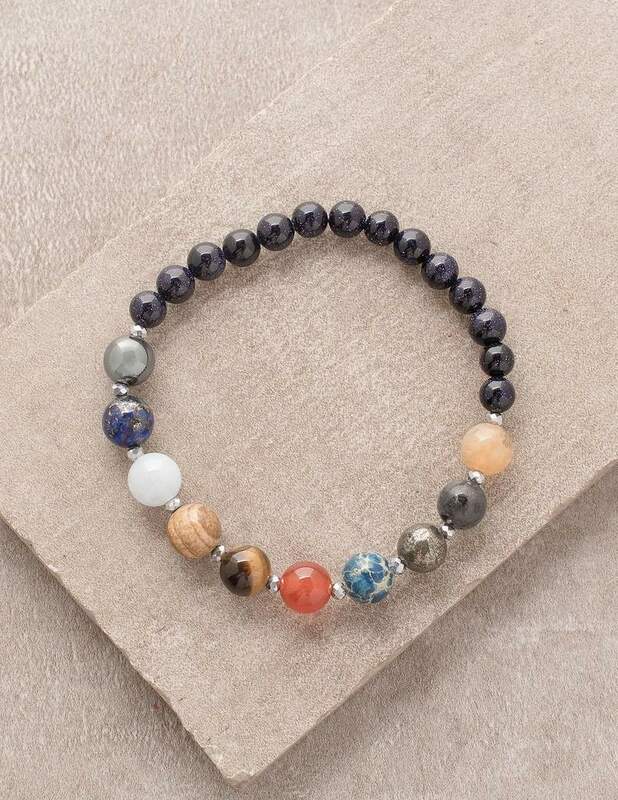 The gemstones correspond to the energy emitted by each planet healing the mind, body, and soul. Was $39.95 – Now SivanaEast Special! – $29.95 use code 9Planet and save $10.